For many (or most) of us, the word “change” can be scary and/or uncomfortable. It is a word and a concept that can mistakenly take us by surprise and cause a shift in our daily routine. 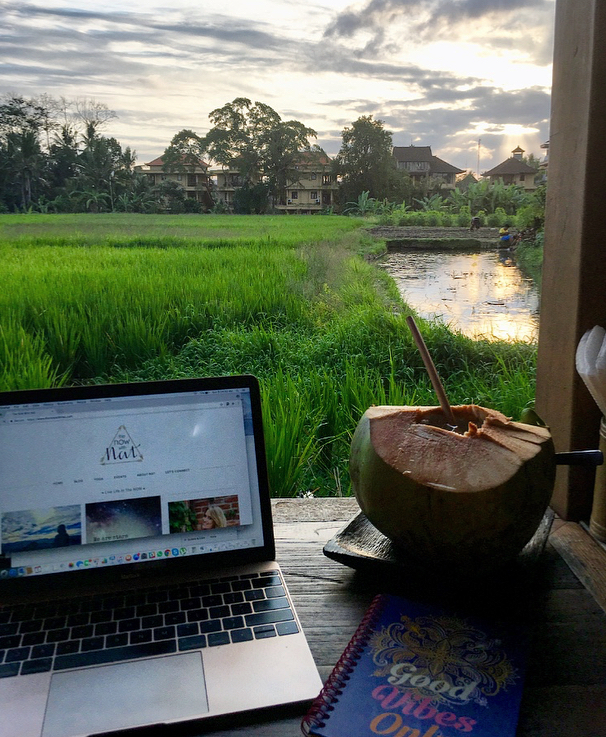 As I sit at a cafe in Ubud, Bali, looking back on the past year, it is undoubtedly crazy how much change I went through. In May 2017 I put in my leave of absence at my corporate job, preparing my move to Chile in June, and not having the slightest clue as to what to expect. My move to Chile brought immense amounts of change, in some ways more difficult than others. It brought about the obvious, like language, culture, and living situation changes. But along with those came others I did not expect - changes with my way of thinking, my beliefs, what I really want out of life. Not to mention huge changes spiritually - not just within my self but also in my career. Continuing forward, my move to Chile led to my one month stay in Bali, an enormous change that basically happened overnight, and would not have been possible without my South America venture. With all the new (and rare) moon cycles since the beg of December, which has brought an intense flow of new energy, we have all been feeling the shift - which has been somewhat (or very) difficult for a lot of us. Personally, the last month has been challenging after not feeling well and very low on energy. I am just starting to get my groove back! My life also completely took a new direction and pointed me towards my next path here in Chile. It is scary, yet exciting, but the goal is to work on staying grounded and present during these intense energetic changes. We just had one more new moon this month in Pisces which brought a sense of completion as we wrap the astrological new year (phew!) Now is the time to go deep within and focus on healing sensitive issues and past life events. Focus on honesty, communication, and truth within yourself - this will bring a greater sense of balance during this time. Tap into your creative juices and don't hold back - let your imagination run wild. What feeds your soul? What improves your overall wellbeing?! This is the perfect time for inner reflection.